Suitable for cost-effective and continuous production all kinds of Nuts, such as Peanuts, Cashew Nuts etc., which requires oil roasting & cooling, before Flavoring. Coated nuts option available. Can also be used for dehydrated & coated Peas. Combining machinery from Worlds’ specialized manufacturers and own manufacturing , we offer world’s best and proven technology for processing high quality product. We offer latest continuous tunnel type nut Roaster Cooler for excellent and high quality product. 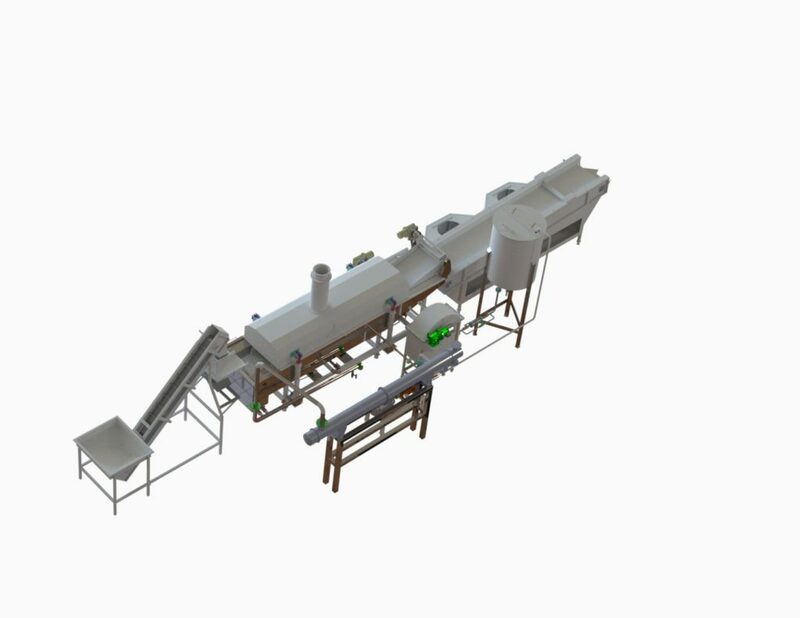 Pre Cleaning Roasting Cooling Blanching Sorting & Inspection Control Feed Oil Roasting/ Coating Cooling Glazing Salting Seasoning Packaging The whole nut Blancher efficiently blanches any kind of peanut. The gentle blanching action thoroughly separates skin, while holding splits to minimum. Complete specialized systems for coating, continuous oil roasting cooling, glazing, salting, seasoning etc. for production of consistent and superior product quality. For Peanut butter a combination of size reduction mills used to achieve creamy, butter with smooth texture, no oil separation etc. Other equipments is proportionate additive Feeder, De-aerator, Chiller etc. contribute to process a top and excellent quality product.